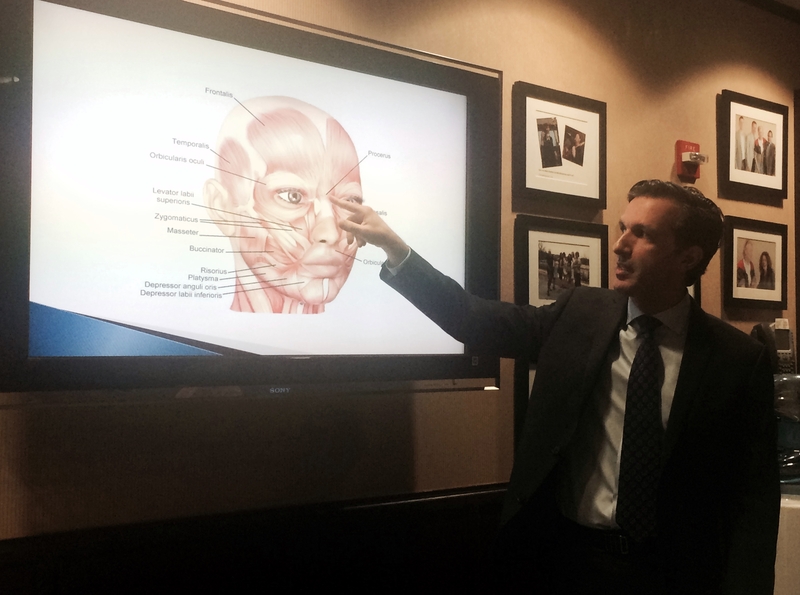 Yesterday, Dr. David Light, a valued member of the Aesthetic Plastic Surgery, PC medical team, presented a lecture on “Non-Surgical Options for Facial Rejuvenation” as part of our Patient Empowerment Program. There are many options to assist in facial rejuvenation and awareness of less invasive, non-surgical options assists women in making informed decisions. Dr. Light offered facts, advantages and limitations of some of these minimally invasive techniques including fillers, Botox, lasers, and chemical peels. There was also a special opportunity to have an exchange during the presentation. The responses to the information provided and Dr. Light’s soothing and confident style were extremely positive. As women are healing from their reconstruction, they frequently reassess their lives and choose to be kinder to themselves by considering their own needs and being more attentive to their physical appearance. We thank Dr. Light for sharing his time and expertise.